Kathy Dian Bradford, age 75, of Rushsylvania, Ohio passed away Monday morning January 28, 2019, at her home. She was born in Bellefontaine, Ohio January 16, 1944, to the late Samuel and Donna (Pugh) Fry. Kathy married Darrel L. Bradford December 10, 1960 in Bellefontaine, and he survives in Rushsylvania. She is also survived by daughters Kimberly Griffin of Columbus, Ohio and Kelly (Bill Andrews) Bechtol of Rushsylvania; three grandchildren, Marcus (Sarah) McBrien of Powell, Ohio, Amanda (Mark) Lowery of Powell, and Zachary (Allegra Fultz) Bechtol of Bellefontaine; four great-grandchildren, Madison, Scarlet, Ellie, and Elijah; a brother, Danny (Carol) Fry of Huntsville, Ohio and numerous cousins, nieces and nephews. Kathy worked twenty three years at Siemens and then seventeen years at Honda Manufacturing in Marysville, before retiring in 2008. A member of the Rushsylvania United Methodist Church, Kathy enjoyed going to basketball games and spending time with her grandchildren and great-grandchildren. She also liked to cross stitch, make ceramics, and attend craft shows. A graveside service will be held Sunday, February 3, 2019 at 2 P.M. at the Rushsylvania Cemetery. 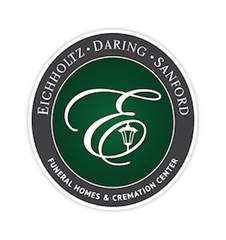 The family was assisted with the arrangements by the staff of the Eichholtz Daring & Sanford Funeral Home & Cremation Center in Bellefontaine.